I have new original drawings to show for sale including my largest ever, 'Procession'. I will also have 'Counting Lions' books for sale which I can of course sign. Limited edition prints of the drawings in the book will also be for sale for the first time and I have a new range of greetings cards to offer as well as my large assortment of existing prints. 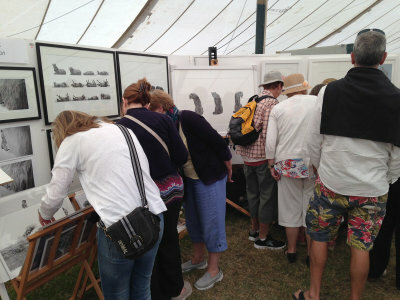 Unfortunately this years Art in Action is to be the last one. I was so blown away by how wonderful an event it was last year (my first time there) I am saddened it is the last one but pleased I will at least be there.